Leave it to me to start a new project! (I think I have three going right now.) My original plan was to hand sew sequins on my corn printed dress, but after it was complete it looked so cute that I didn't want to add too much. I then I wondered what shoes am I going to wear with a corn dress? 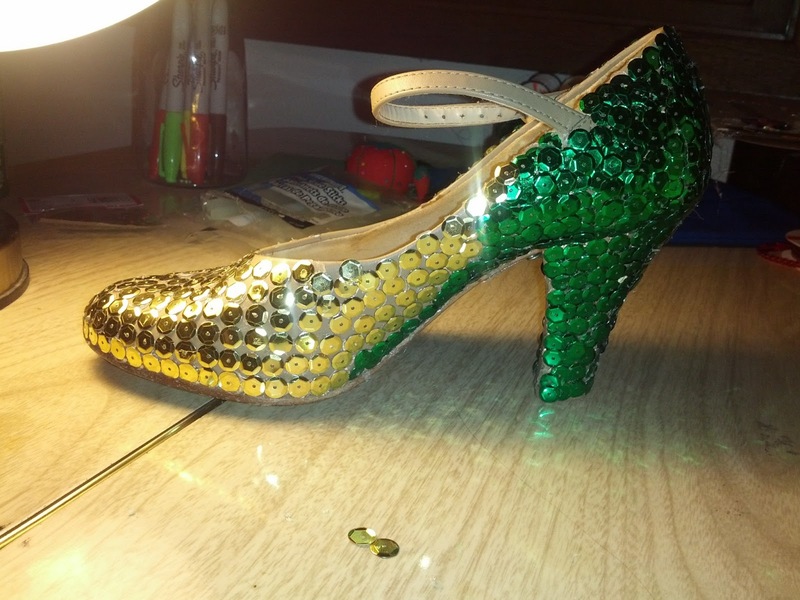 Like a lighting bolt it hit me: corn shoes! They were tan ballroom dancing shoes that I had worn for my wedding. They are they most comfortable shoes ever, but have never been the prettiest. 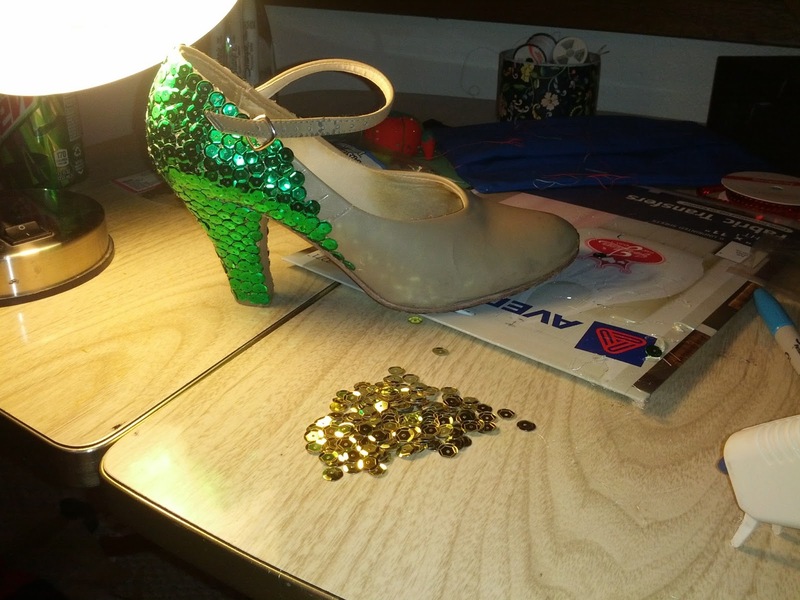 I have been hot gluing each sequin on one by one. They are turning out great but it takes forever!